Is community-led cohousing the next big thing in London? The government has just launched a new £240 million Community Housing Fund to help grow the community-led housing movement. With growing uncertainty about the London housing market coupled to ever-increasing need could co-housing be the next big thing for London? And if so, what would that look like, and what is required to make it happen? Could cohousing take off in London? Could the cohousing housing model, which began in the 1960s in Scandinavia and has since gathered popularity elsewhere in Europe and the US, hold the key to the illusive sense of community we are all seeking? Is this mode of living just for hippies or does it hold a wider appeal? How does cohousing differ from other types of community housing like cooperatives? Is it even possible to find viable land for these types of projects, esp. in or near London? Can community-led housing deliver more affordable homes and more security of tenure? And how would anyone go about finding a group of like-minded individuals interested in pursuing this type of living? You’ll hear from Alex Whitcroft, the founder of the brand new Cohousing London group and himself an architect specialising in sustainable and community-led’ projects and developments, about his personal experience of living in a successful land trust community in the States and his ambitions for the new Cohousing London group, which seeks to connect individuals interested in pursuing cohousing projects in London and the South West. Alex will share examples of successful community-led housing models around the world, including projects he is already working with in the UK and key tips for joining or setting up your own community-led housing initiative. Facilitated by Joost Beunderman, Director of Impact Hub Islington and at the design and strategy practice 00, and we warmly encourage input from the audience during the Q&A and invite you to join us for networking after the event. Tickets are FREE but due to ticket popularity and venue restrictions registration is compulsory so please register HERE on Eventbrite to secure your place as soon as possible. Our events are very popular so do register soon to avoid disappointment. Alex Whitcroft: Alex is a designer and architect based in London. 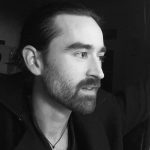 His work focuses on environmentally and socio-economically sustainable design, including innovative technologies, community empowerment and ownership, and product and material lifecycles. Alex works on Passivhaus projects as an Associate Director with Bere Architects, alongside acting as designer-developer for sustainable housing and meanwhile use projects with KIN Architects, and developing digitally fabricatable building systems as Architectural Lead at the WikiHouse Foundation. He is also a certified Passivhaus designer, trained facilitator, member of the Living Building Challenge UK Collaborative steering group, RSA Fellow, occasional university critic, and advises and speaks on sustainable construction, digital fabrication, community, open/cooperative organisations, and the collaborative economy. 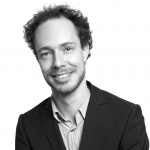 Joost Beunderman: Joost Beunderman has been a Director of Impact Hub Islington since 2011. Along with his work at Impact Hub Islington, Joost is also a Director of architecture and strategy practice 00 and one of the co-founders of Impact Hub Brixton. He has worked on a wide range of research and strategy projects including the ‘Compendium for the Civic Economy’  and ‘Places that Work’  and has led a wide range of collaborative regeneration strategy projects. Whether working on issues around employment space, civic participation, outcome-based finance or institutional innovation, his focus is always on creating the conditions for a more democratic city. Cohousing London group: The Cohousing London group is for people interested in living in cohousing communities in London and the London area. The aim is to bring people together around community housing projects and provide the expertise and support they need. We are in discussions with councils about disused public land as well as exploring on-market and off-market private sector sites. We have also been doing other important behind-the-scenes things like getting financing in place, getting on public sector deliver frameworks, etc. In short, we are ready to start moving things forward and getting potential residents together to help steer the project(s) going forwards. Impact Hub Islington: Impact Hub Islington is an open community of purpose-driven entrepreneurs, creatives, doers and dreamers, powered by a shared workspace and learning environment. We are part of a global network of over 15,000 passionate individuals and organisations in more than 100 cities around the world. Since February 2017, we have been creating 27 Dingley Place, a new civic platform where people from a range of professions come together to collaborate in new ways, imagine and shape a better future for London.